Multi-Ground football boots | Learn more about MG boots! Multi-Ground football boots, or just MG football boots, is something that you might have seen, but without really knowing what it is. You have previously seen other types of stud-combos such as adidas’ FG/AG concept, or Umbro’s HG studs. But let’s take a closer look at the MG stud concept and what they are all about. The Multi-Ground is a configuration which is only used by Nike. Normally we see Nike make boots for Firm Ground, Artificial Grass, Turf, Soft Ground and indoor, and this is their newest type of stud configuration. But this might already seem familiar, and you are not wrong here. adidas and Umbro already makes studs that can be used on more surfaces. adidas has their FG/AG configuration which is suited for both Grass and Artificial grass, while Umbro uses HG that stands for Hard Ground. HG boots can be used on both Artificial Grass, Firm Ground, and on dirt and gravels pitches. Nike didn’t really have a multi stud-configuration before their MG studs, so this could be their own way of making boots that can be used on multiple surfaces. MG football boots are designed to give a maximum grip on synthetic and dry surfaces. The outsole is designed and specialized to help on your acceleration, while also helping you change your direction easier and allowing you to do this on different surfaces. The MG football boots are ideal to be used on artificial surfaces, such as artificial grass and dry short-grassed pitches. The MG football boots also helps with minimizing discomforts in your feet while running on these surfaces. The studs are designed and placed to offer support. You might know that a high amount of pressure occurs when running on artificial surfaces. The studs on MG are designed and placed to distribute this pressure equally around the soleplate and studs. MG boots are great to use on these surfaces, but you can also use them on normal grass. But keep in mind that the studs are designed to be used on harder surfaces which makes them shorter. 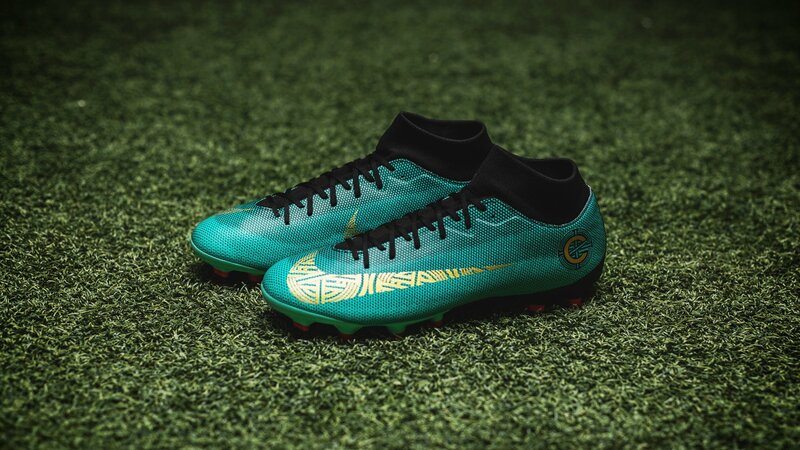 This could lead to losing a bit of grip on rainy days, due to the MG football boots doesn’t have long studs that can grip into the wet grass. That’s also why we see Nike produce boots specifically made for FG, AG and so on. They want to offer the best possible tool for the surface that you’re going to play on, and this is something that they really show when introducing their newest technology. The Multi-Ground football boots are currently available in the Mercurial Superfly and Vapor Academy editions. This means that you get the same looks and almost the all the same technologies as the high-end boots, Elite and Pro. Do you rather want a Elite or Pro boot, then you have to go for the FG or AG stud-configuration, so you are certain to get the best possible configuration for your needs. Do you want to see the or get your own pair of Multi-Ground football boots? Then take a look at our Mercurial selection here!